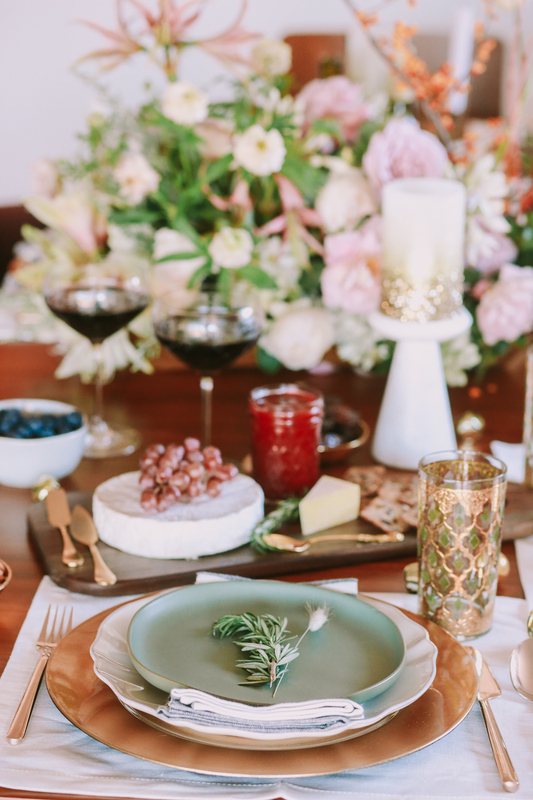 Whether you like to browse Pinterest or flip through magazines for inspiration, pick a theme that will set the tone and mood of your party and tablescape. I love to browse hundreds of ideas before settling on the one that’s just right. Also, don’t be afraid to mix some styles around…take rustic modern for example. Two very different looks yet together they work so well. For this table, I wanted a mix of vintage, rustic, and luxe. 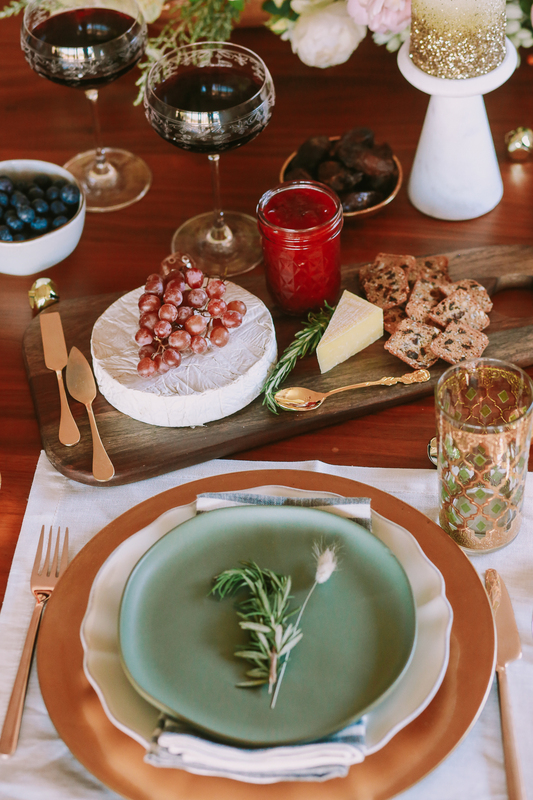 I remember my Mom’s parties were always perfect, but also minimal and she shied away from bringing in a variety of pieces that didn’t serve a function (she’s so practical). If you want a luxe look and feel, then layer up your tablescape with a placemat, charger, plates and napkins. It’s more work and may not be practical but it’s the holidays and this is the time to go all out! Whether it’s your theme or dinner menu, you want to make a statement. For this party, my statement was the centerpiece. I asked my friend Charmain for the most beautiful centerpiece (did she deliver or what?). I want my guests to stop and admire the centerpiece and it helps set the tone for the dinner and theme. 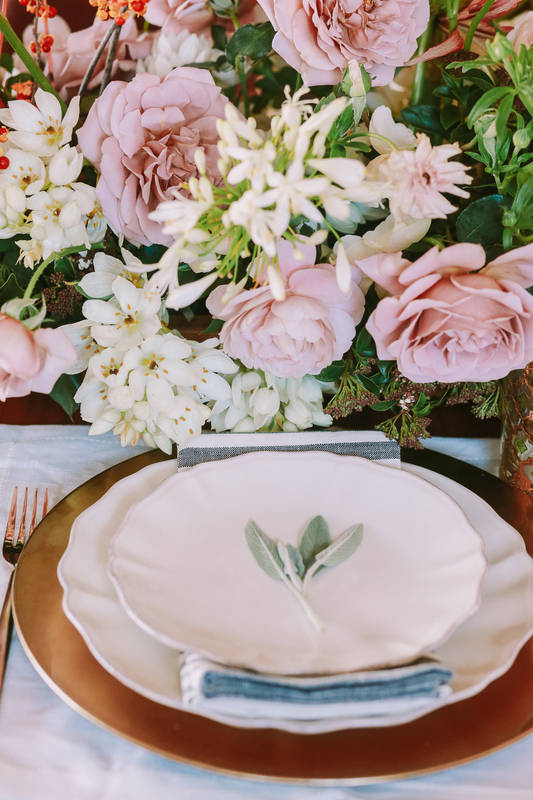 The garden roses were the perfect shade of blush and helped pull together the vintage gold glasses and sage green plates. 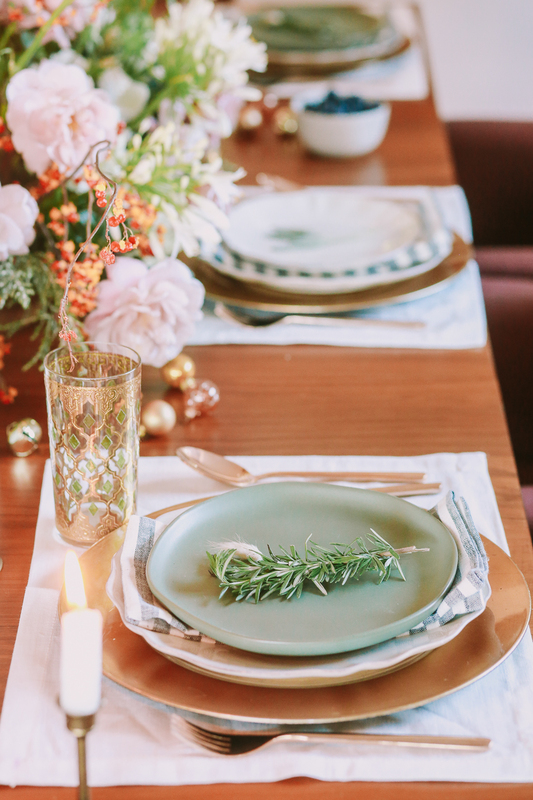 What are your tips for setting the perfect table? Probably one of the prettiest tables I’ve ever seen. I just love the color scheme and how welcoming it is! Beautiful table setting! I am in love with your glassware!! 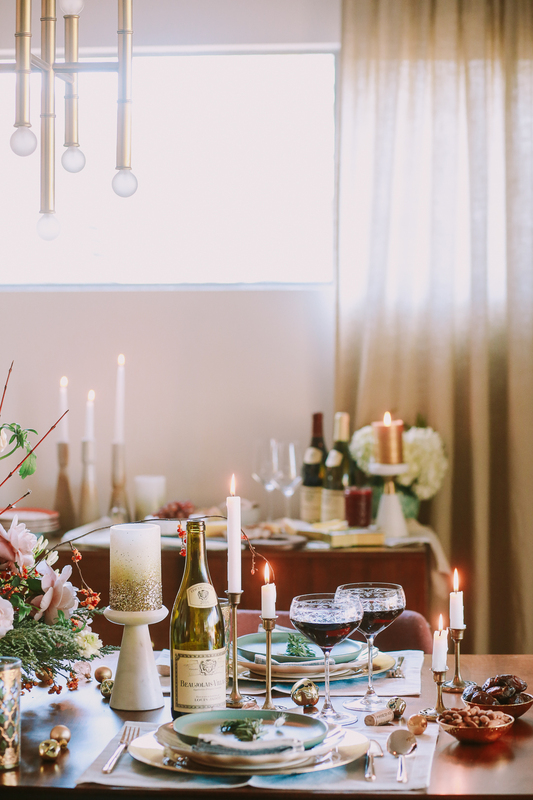 I absolutely adore your tablescape and all of your tips! They’re so good! I hope you have a wonderful holiday. Your table setting is GORGEOUS! You did a great job decorating. Such a beautiful table! This is just gorgeous- love these soft hues! 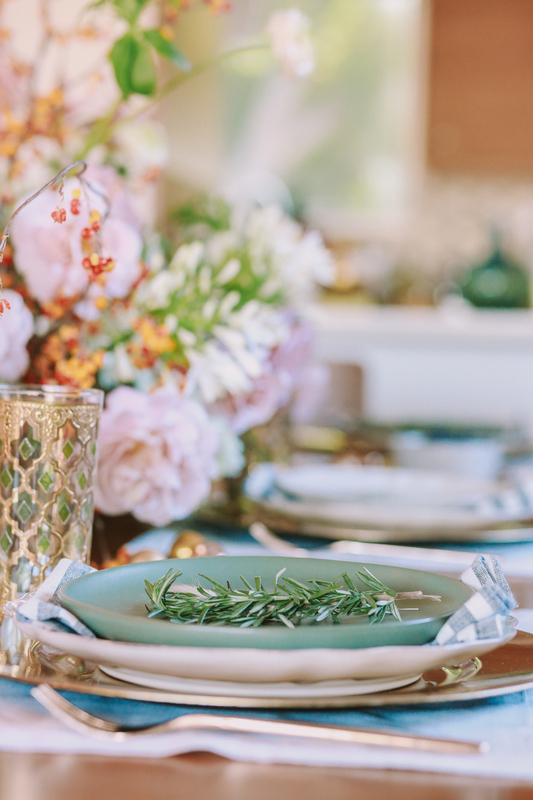 This is the prettiest tablescape! I love the color combo! What a beautiful setting! 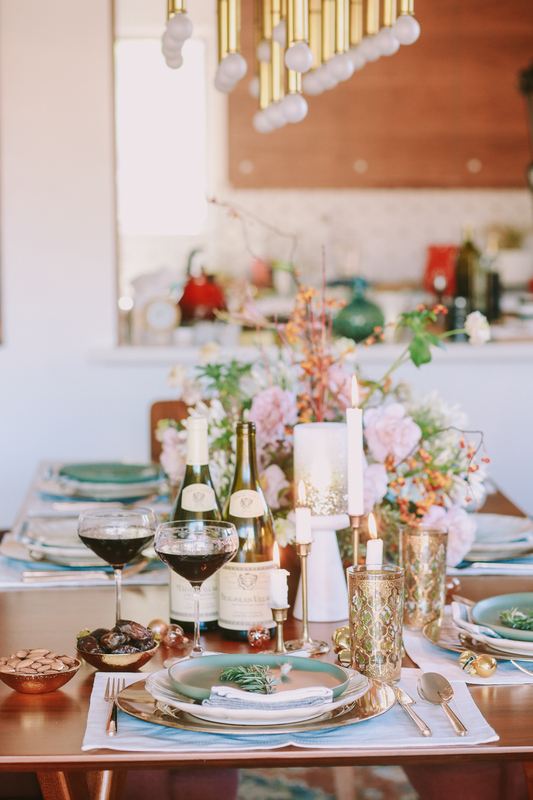 I think I’ll definitely be coming back to your blog for tablescape inspo once I’m married! Ok. 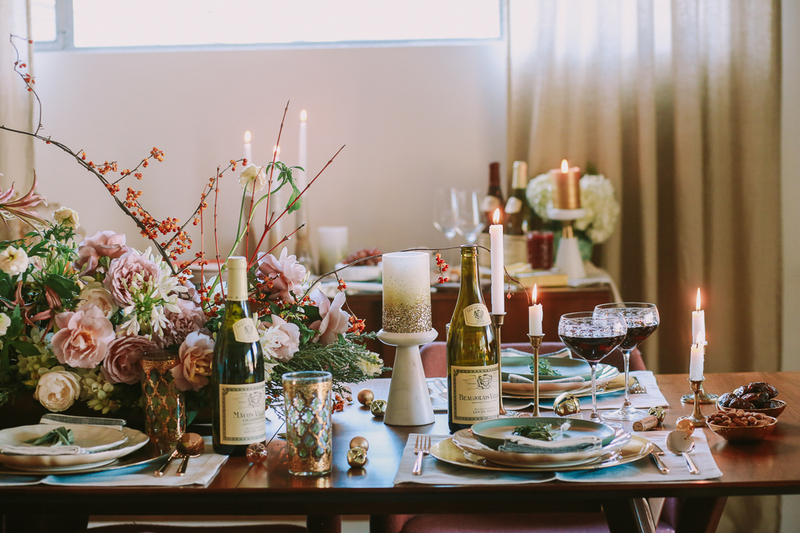 This tablescape is beautiful. I love all things blush so I’m definitely taking notes for next year. 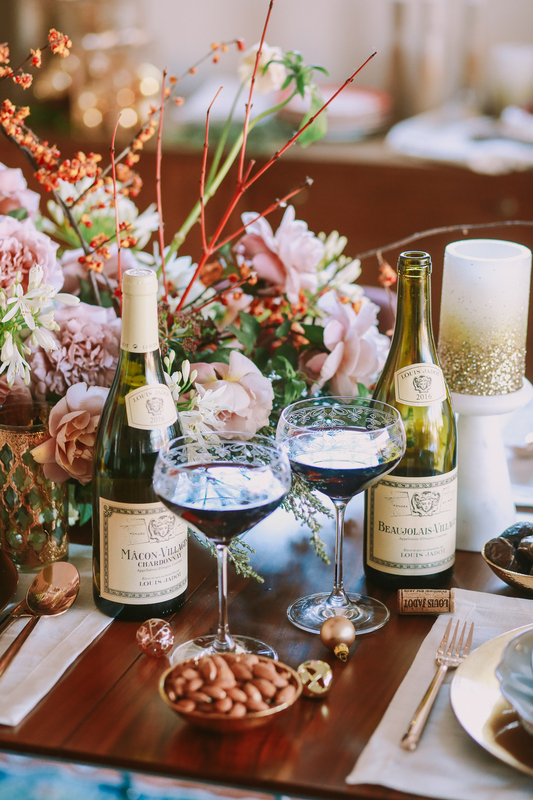 I absolutely adore the centerpiece you included in this tablescape! I’m getting married in August of this year (Denver, CO) and the feel of the flowers fits exactly into my theme – romantic french country. If you’re able to tell me, I’d love to know what flowers were used.